Country star Blake Shelton has confessed he was drunk when he slipped and fell onstage during a concert in Oregon over the weekend. The Honey Bee hitmaker was in the middle of his set at the Pendleton Whisky Music Fest on Saturday when he tripped up, but instead of trying to forget about the embarrassing fall, he actually called on Twitter fans after the gig to help him find video footage of the tumble. "OK Pendleton, I know somebody is bound to have video of me falling on stage last night!!" he tweeted on Sunday. "Please!! I have to see it!!! Post that s**t!" Blake then admitted he was more than a little tipsy during the show: "And yes, I had been drinking. A lot," he added. The 42-year-old then decided to jokingly blame his fall on rapper Pitbull, who was also on the bill at the event and is known for putting on a high-energy, dance-filled performance. "By the way, @pitbull…I blame you. It was my attempt at competing with your show…," Blake quipped. 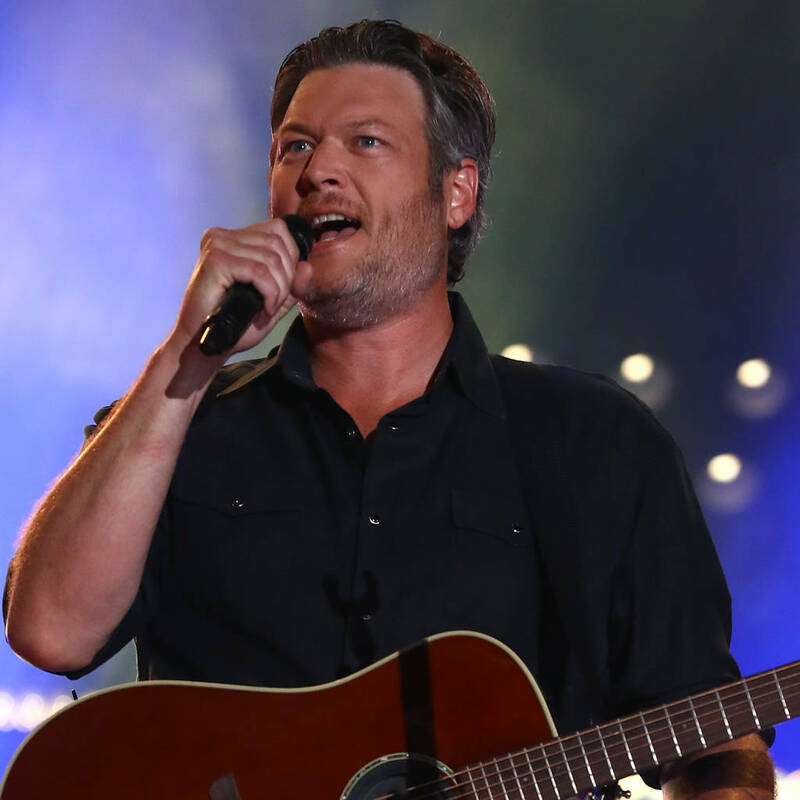 "I am a dancing son of a b**ch when I don't take a 10-second giant s**t fall…"
While most of Blake's fans found his tweets amusing, one critic wasn't impressed and called out the musician for seemingly letting his audience down by hitting the stage while intoxicated. "So,that's the type of quality show that you put on,…for people that spend their hard earned money to come see you, is for you to show up drunk?" the woman remarked. "That's some Justin Bieber on Hennessy, throwing up on stage, nonsense right there!" she added, making reference to the pop superstar's bad boy days. However, Blake didn't hesitate to fire back, sarcastically responding, "Oh I'm sorry ma'am… This account is meant for people who actually have a sense of humor. We're not accepting cry baby tweets today.. Maybe try again tomorrow!"